Computer science was on home pages of Google, MSN, Yahoo! and Disney. President Obama, Shakira and Ashton Kutcher all kicked off the Hour of Code with videos. Over 100 partners came together to support this movement. This year, let’s make it even bigger. I’m asking you to join in for the Hour of Code 2014. Please get involved with an Hour of Code event during Computer Science Education Week, December 8-14, 2014. Get the word out. Host an event. Ask a local school to sign up. 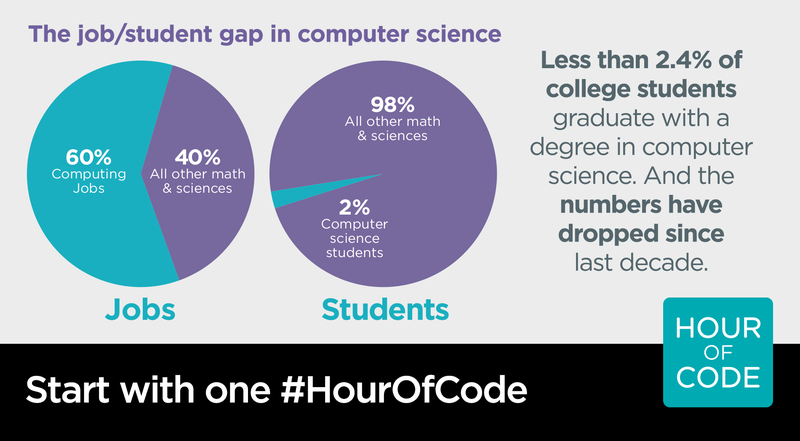 Or try the Hour of Code yourself — everyone can benefit from learning the basics.